The Church of the Holy Sepulchre is one of the holiest sites in Christianity. It is believed to be the place of the crucifixion and burial of Jesus Christ. 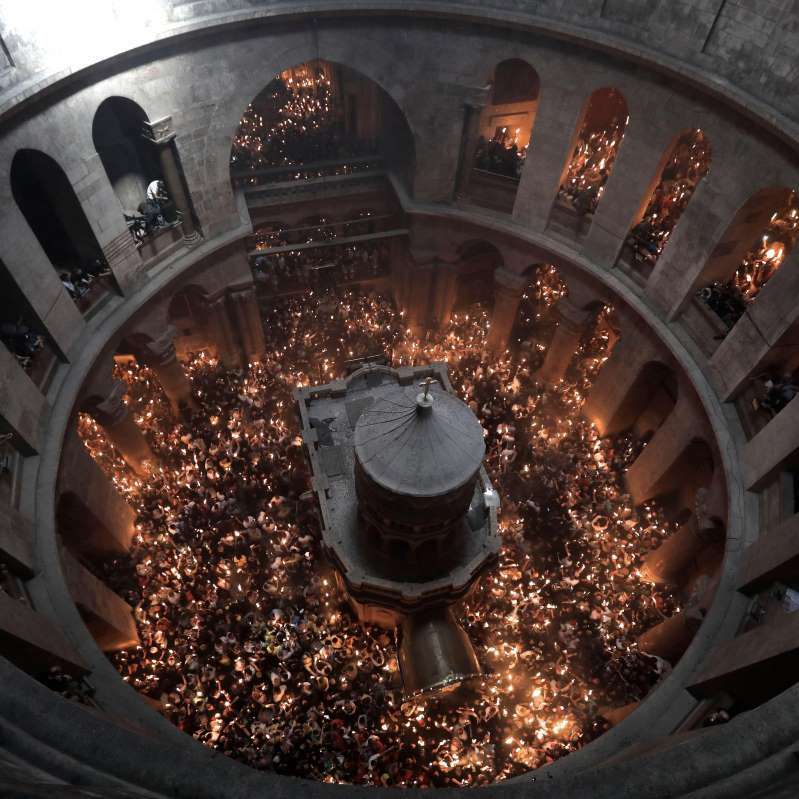 Each year, millions of pilgrims flood through the ancient hallways to kneel where Jesus laid, and descend upon the hallowed ground where they believe he was resurrected. "It brings up a lot of tears, because it's just so profound to experience where he was and what he did," said one woman at the church. While Christians of all denominations come to pray, the key to the church is entrusted in the hands of a Muslim man. In a daily ritual, Adeeb Joudeh Al Husseini walks through the narrow alleyways of the Old City of Jerusalem. He follows in the footsteps of his ancestors who have passed the key from generation to generation for over 850 years. "My father gave me the key to the church when I was 8. Now I'm 52," he said. The Joudeh Al Husseini family became custodians of the ancient key in 1187 when Muslims seized control of Jerusalem. While Joudeh Al Husseini protects the key, another Muslim family is charged with opening and locking the church doors. "I wanted to be here to find out about shared values and how the differences amongst us are really not such big differences," said Emelia Roseburg, who was visiting from New York. "Our pride gets in the way, and when our pride gets in the way we revert to the worst within us." In a region fraught with tension, this custom of Muslims and Christians working together has become an example of coexistence and harmony. "Jerusalem is not just for the Christians. It's for the Christians, for the Muslims and for the Jewish," said Joudeh Al Husseini. "We are here living together and we are praying to peace."